Many people feel acne is a natural condition that should be accepted. It happens to almost 80 percent of the population between 15 and 30 years of age. That’s why they feel that one day it comes, if you’re unlucky, and that it will most likely eventually go away without leaving any permanent sequelae—or instead, it may leave scars or permanent pigmentation. In the meantime, it might make you feel like a monster and cause psychological trauma, because normally it happens during the building of a teenager’s self-esteem and confidence. Acne arises from four main factors. The first is an overproduction of grease, which makes the skin look oily. The second is a blockage of follicles where hair grows from the skin. Therefore, the excess grease and the occlusion of the follicles bring about the third factor, inflammation. An infection is then produced by a resident bacteria on the skin called Propionibacterium acnes. All together, this is what we need to treat. There is no evidence to suggest that acne is caused by poor diet or hygiene. It’s no more common in Vietnam than it is anywhere else. And, while it is an infectious disease, it is not a transmissible one. The overproduction of fat, the occlusion of the follicles, the inflammation and the infection— these have been traditionally treated with antibiotics and peelers, which work to peel the skin, making it more diffusely red and dry. So we dry the skin, we irritate the skin, and we will see the skin become flaky. That’s also something that people don’t like, but it has been considered part of the price to pay to get rid of the pimples—by having dry, irritated, burning skin. For many years, acne has been treated with antibiotic creams or pills. Unfortunately, a good deal of resistance to the antibiotics has occurred, because normally the treatment is so long. This is something that we need to tell everybody who has acne, and who has the will to treat it—they must be patient. You don’t see improvements in acne even with the more efficacious treatments before 12 weeks. The full treatment should normally take place within the course of one year, and there can be relapses, so this can be very hard to cope with. The good news is that the best medications available on the market today are used earlier, when the disease is not so advanced. That’s a new trend—ten years ago, after-the-fact treatment from powerful medicines (such as retinoid creams, benzoyl peroxide, adapalene creams, and antibiotics) were used in an escalating manner—and when the disease was really advanced, then people were put on oral retinoids. These are the best treatment for acne, because retinoids interact with inflammation, infection, occlusion, and sebaceous production— all four causes of acne. Retinoids were formerly used in very high doses. In some cases, the reaction was so violent that you would need to inject steroids into some of the lesions. This is why retinoid treatment is sometimes associated with psychological trauma, mostly because it was used when people were already desperate from the disease. The modern trend is to use the oral retinoid earlier and in smaller doses. Today, what we have learned is that you can help people feel less anxious about the acne and prevent the scars and the pigmentation, which is important, especially with teenagers from Asian countries whose skin is more easily tanned from exposure to the sun (in general, the darker the skin, the more risk you have of post-inflammatory pigmentation, or PIP). These days, we don’t want to treat only the acute problem, we want to treat the whole thing—we want to treat the person and their experience of life. If we can prevent the acne from becoming violent by starting with low doses and using oral retinoids with appropriate controls, we can prevent scarring and PIP from the beginning, and greatly reduce the chance of relapses of the disease. Some are reluctant to have their acne treated, seeing it as a cosmetic problem. I completely disagree with considering acne as a cosmetic issue. We are not talking here about “wanting a smaller nose” or “bigger lips.” We are talking about “wanting skin to appear healthy.” Some people can be disfigured or even lose their jobs because they are facing the public and can be seen as dirty and untidy. 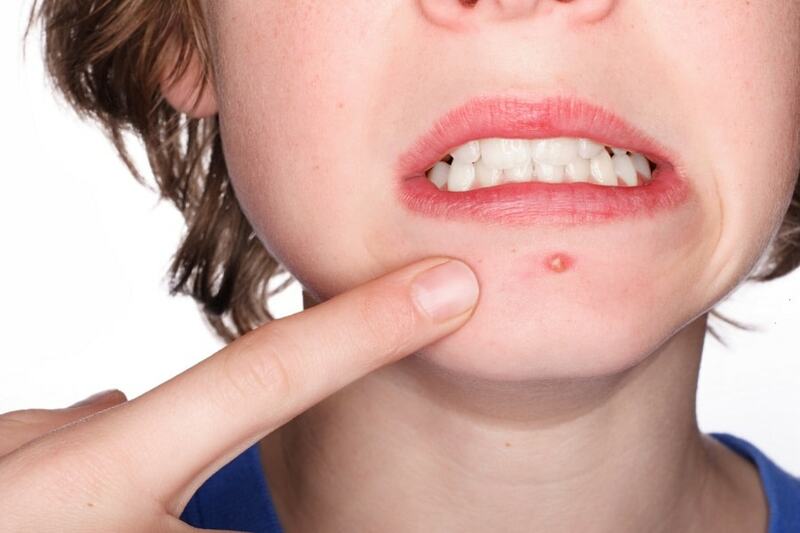 Parents who see their child starting to show a growing number of pimples on their face should consider preventive treatment. An adolescent does not have to suffer an inflammatory disease; medical options are available to greatly reduce the severity of this condition. BIO: Dr. Ruben Martinez-Castejon holds a postgraduate diploma in dermatology from the University of Cardiff and is responsible for skin disease consultations at Family Medical Practice.